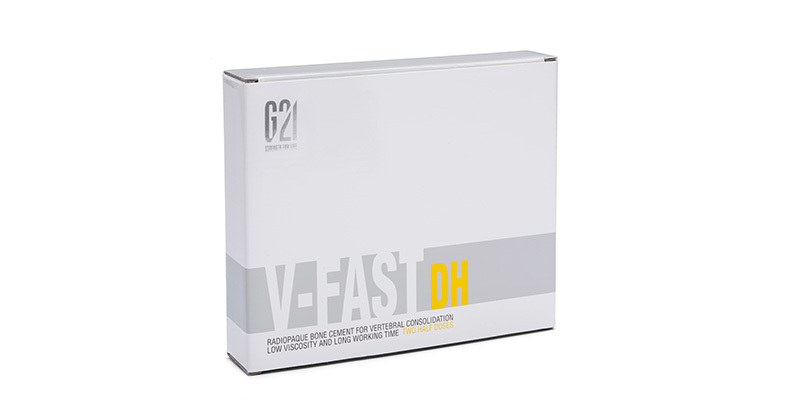 Ready for use immediately after mixing (in less than two minutes), it maintains this consistency for approximately 9 minutes thanks to its specific formulation that “pauses” the polymerization reaction. 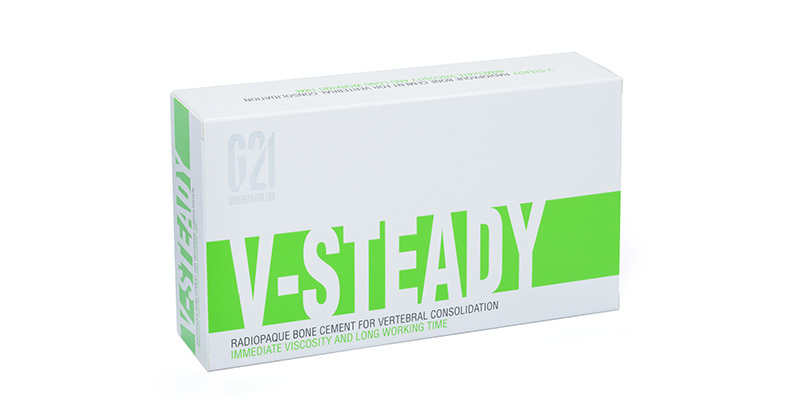 V-Steady bone cement is ideal to perform procedures on several vertebral levels and for who wants a high-viscosity cement that maintains its properties throughout the useful working time. The cement completely hardens in 14 minutes. 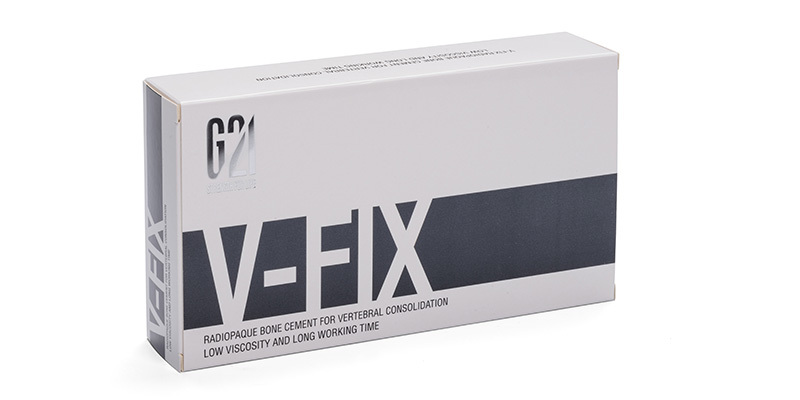 V-FIX™ has the longest working time among the cements available in our range today. 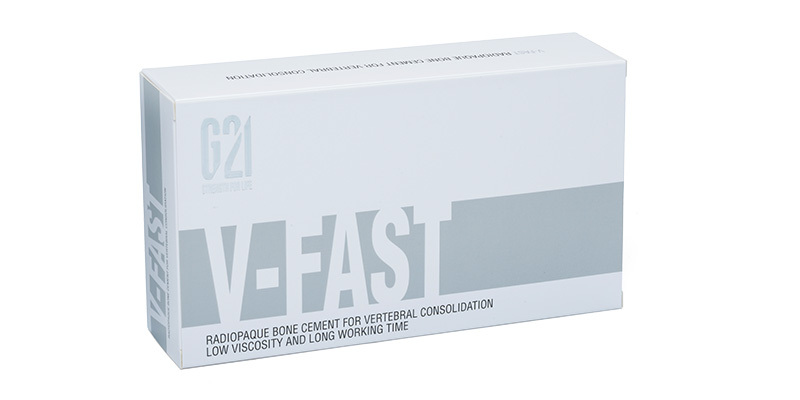 V-FAST™ has a slightly shorter waiting and working times, indicated where the operation time needs to be reduced. 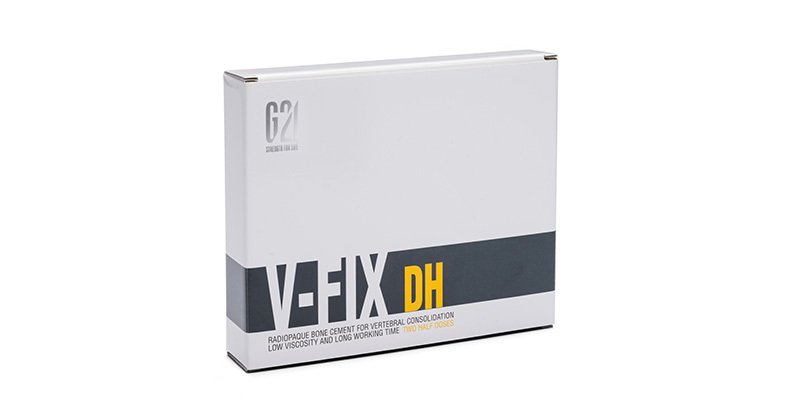 They can be prepared by hand (bowl and spatula) or using closed or vacuum mixing systems. 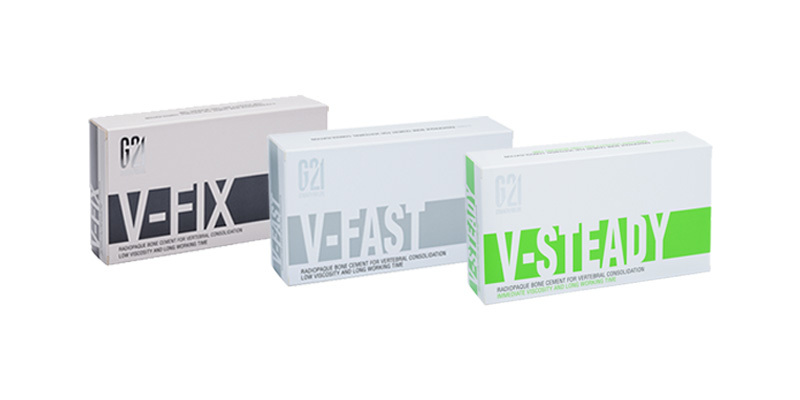 Because of their viscosity, they can be used with syringes or specific controlled injection systems.